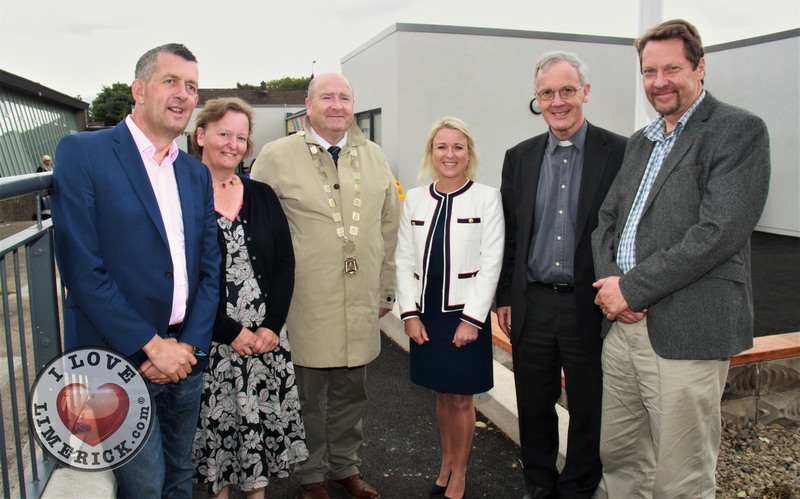 TD Maurice Quinlivan, KJ Architect Jane Harris, Metropolitan District Mayor of Limerick City Sean Lynch, Sinead Toomey, Principal of Thomond Primary School, Chairperson Canon Donal MacMamara, and KJ Architect Kevin Jackson at the official opening of the Thomond Primary School new extension in Ballynanty, Co.Limerick, Friday, June 15th, 2018. 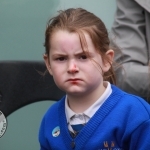 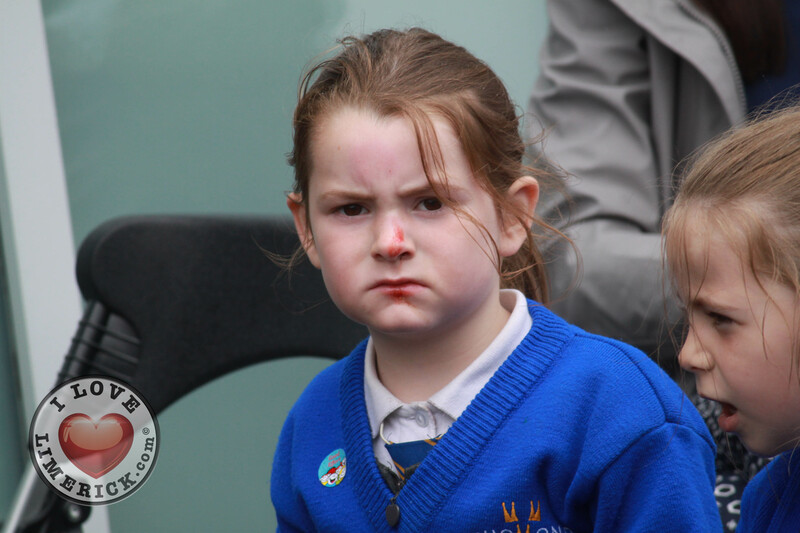 Picture: Sophie Goodwin/ilovelimerick. 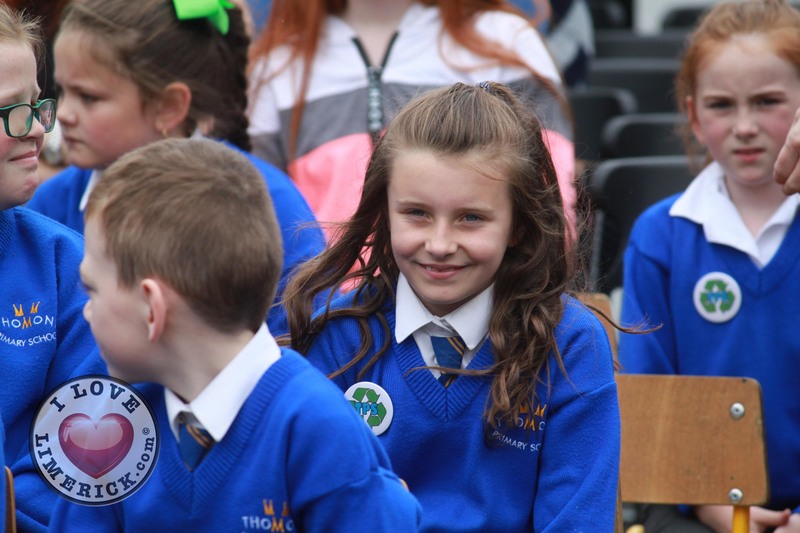 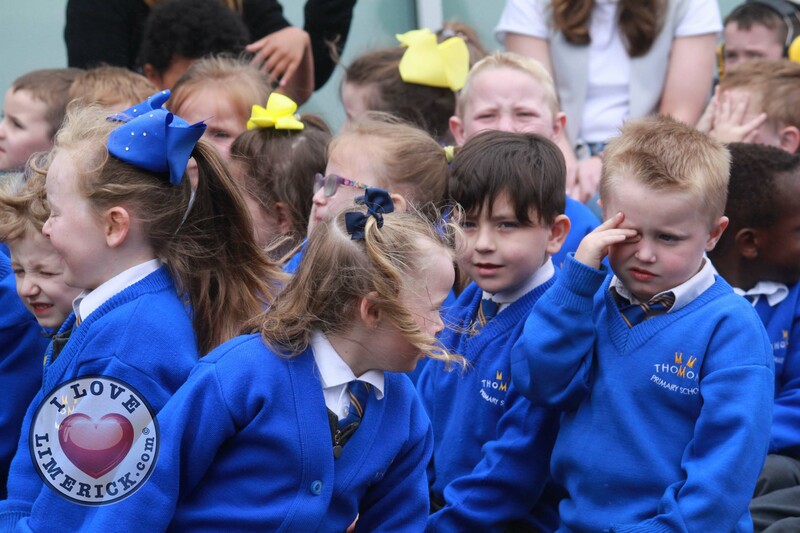 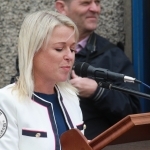 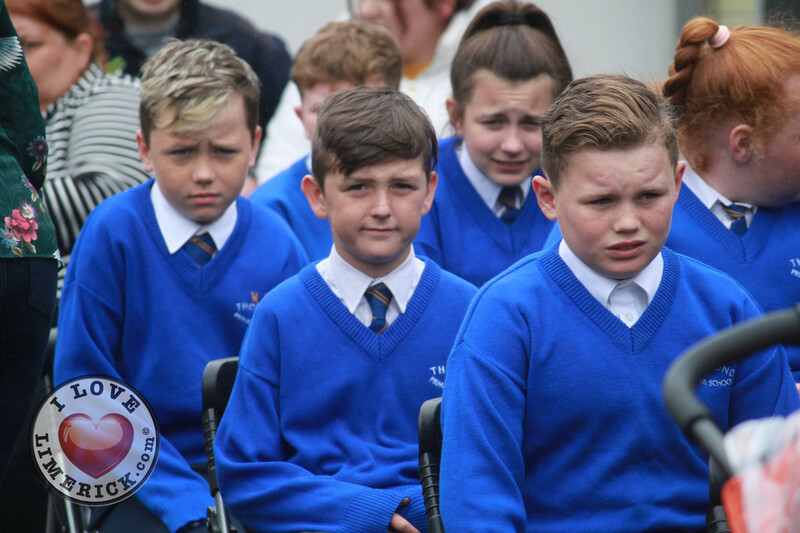 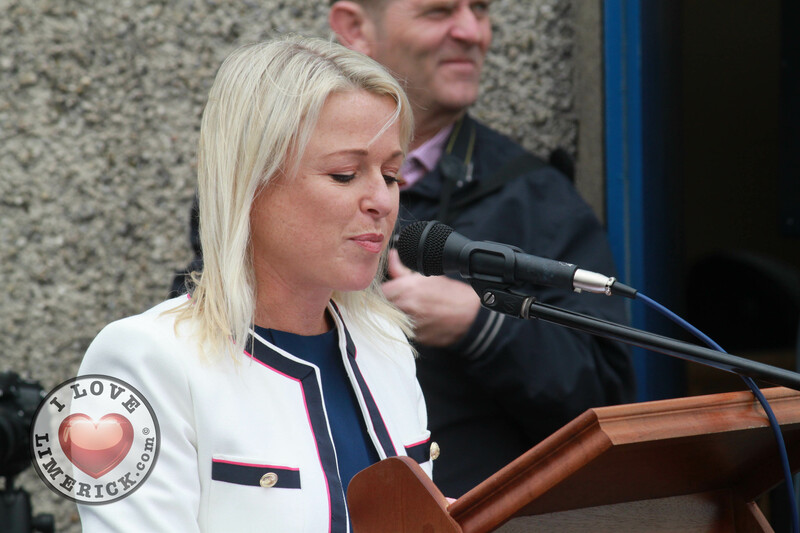 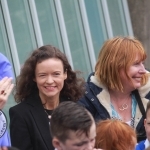 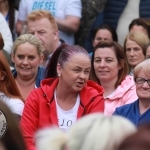 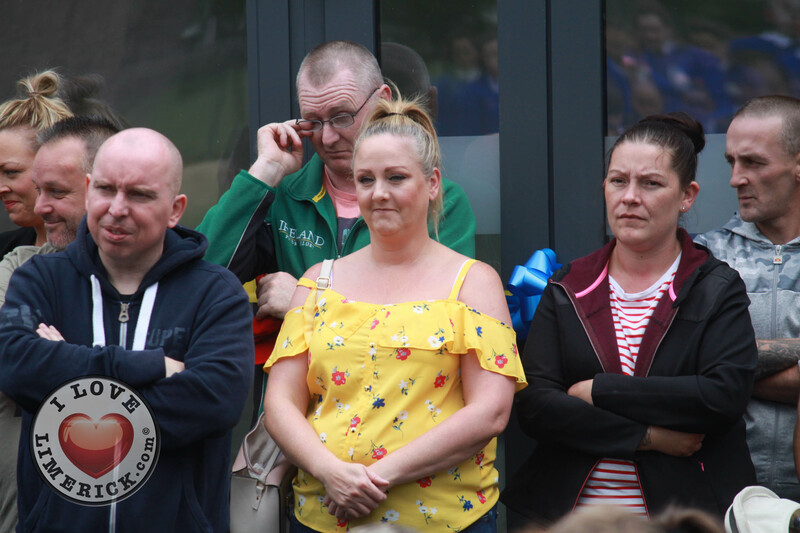 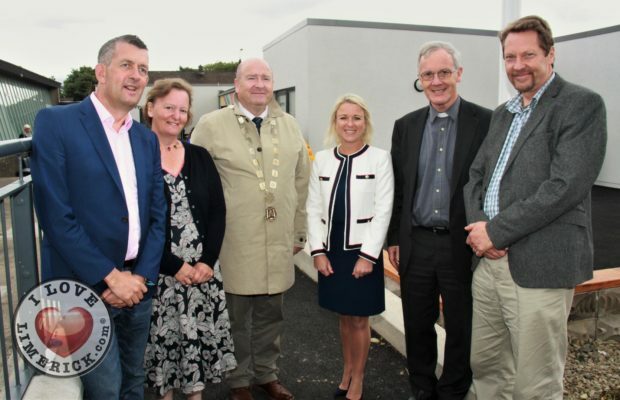 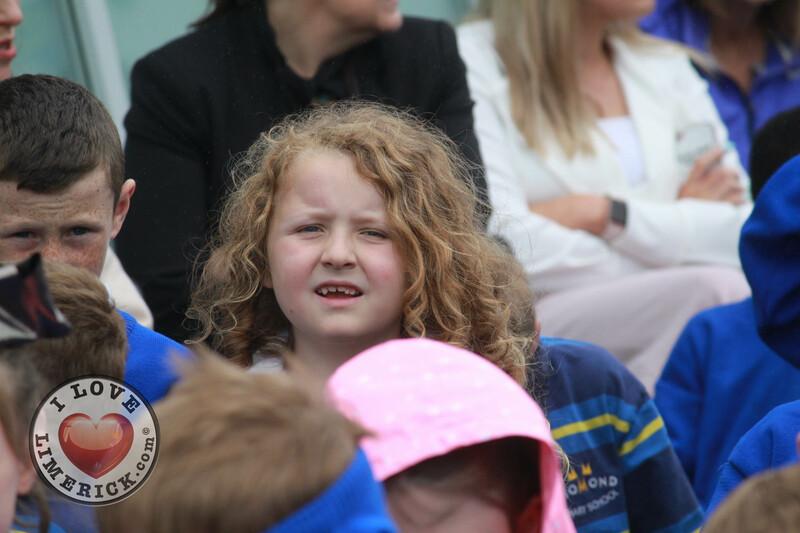 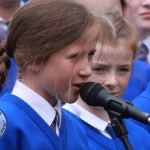 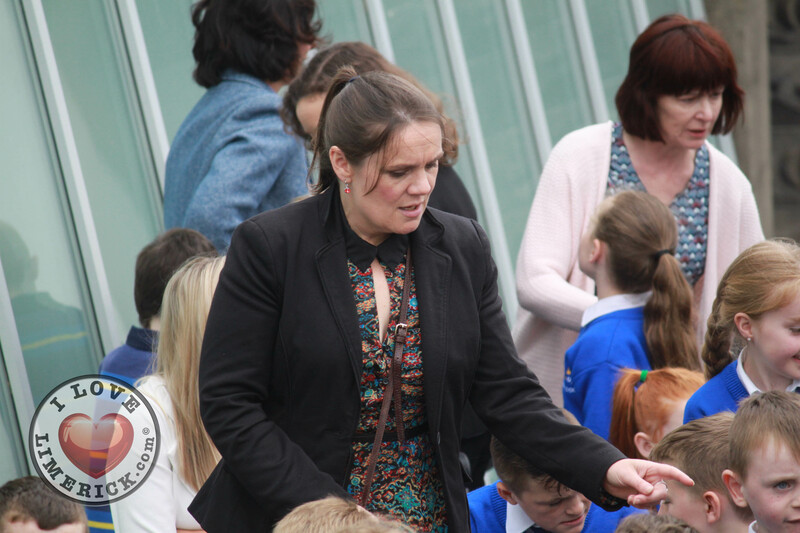 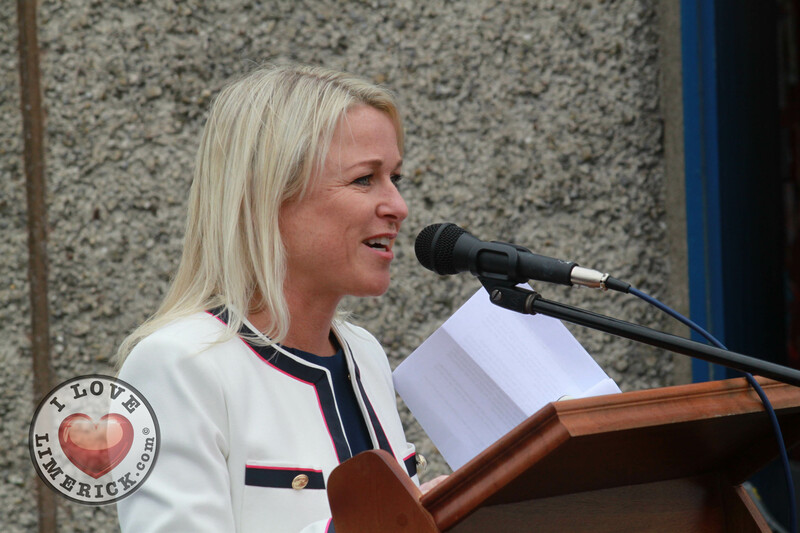 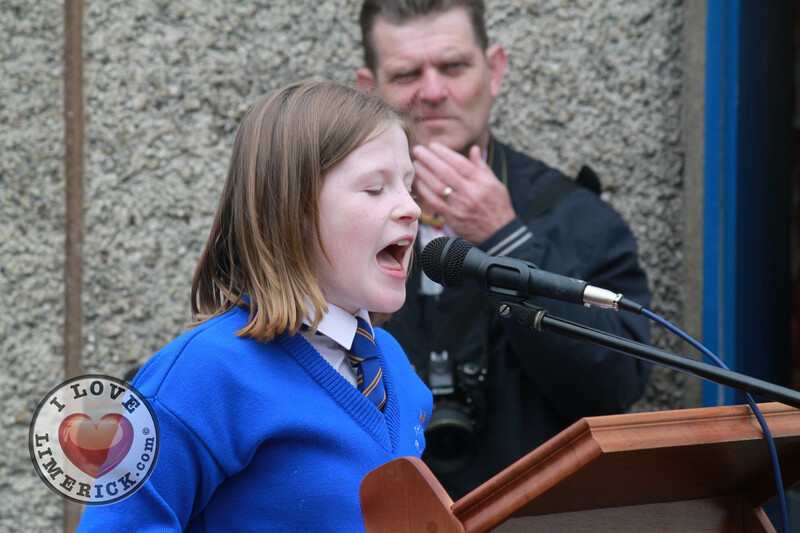 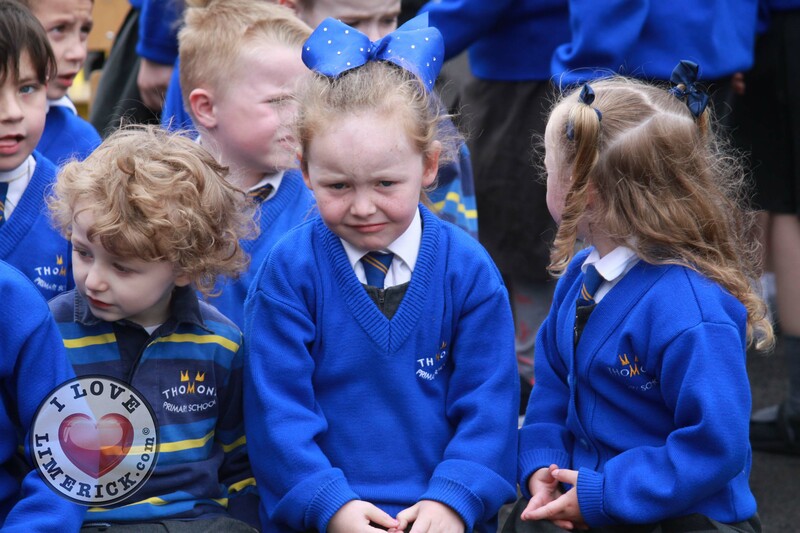 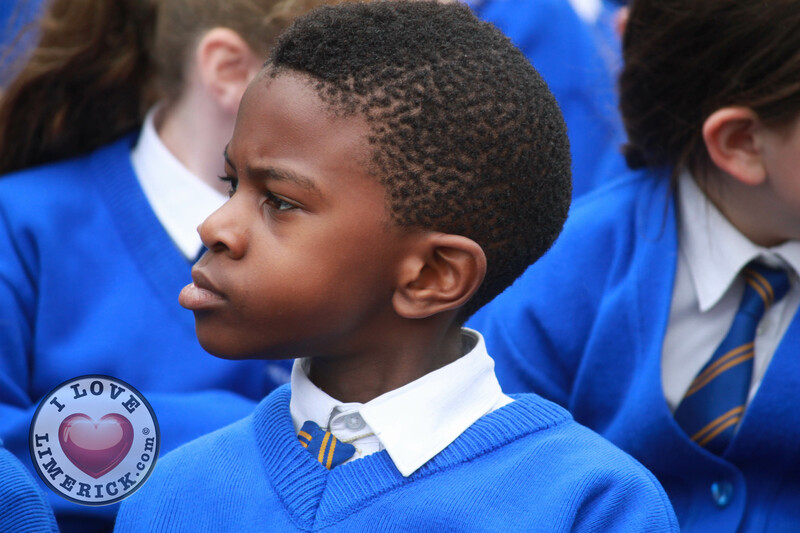 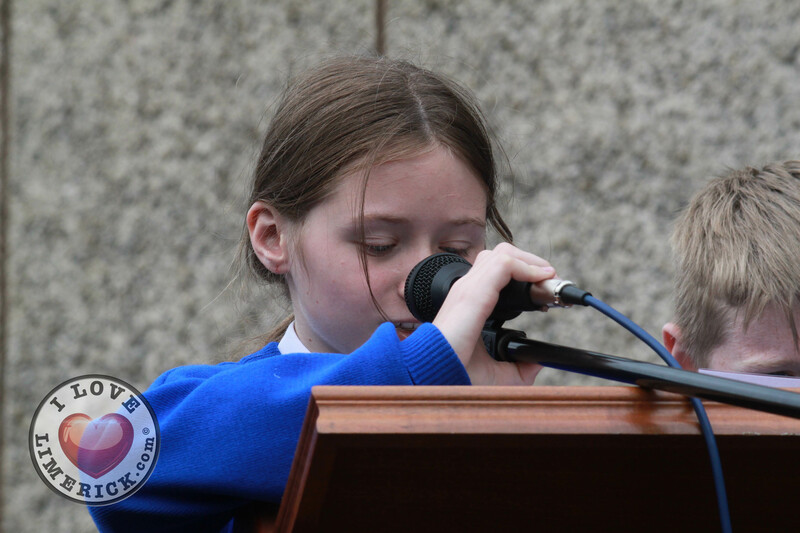 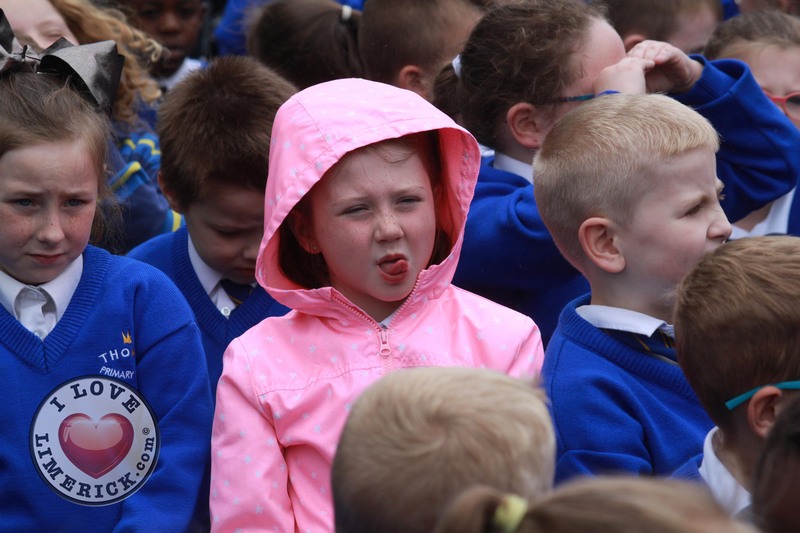 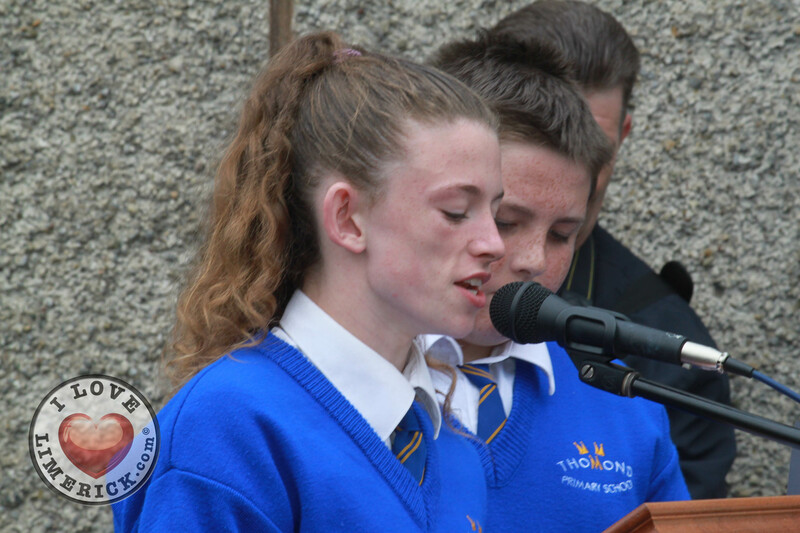 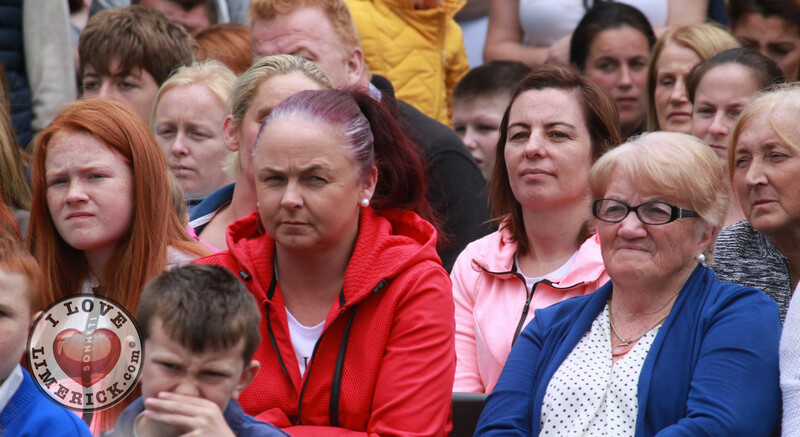 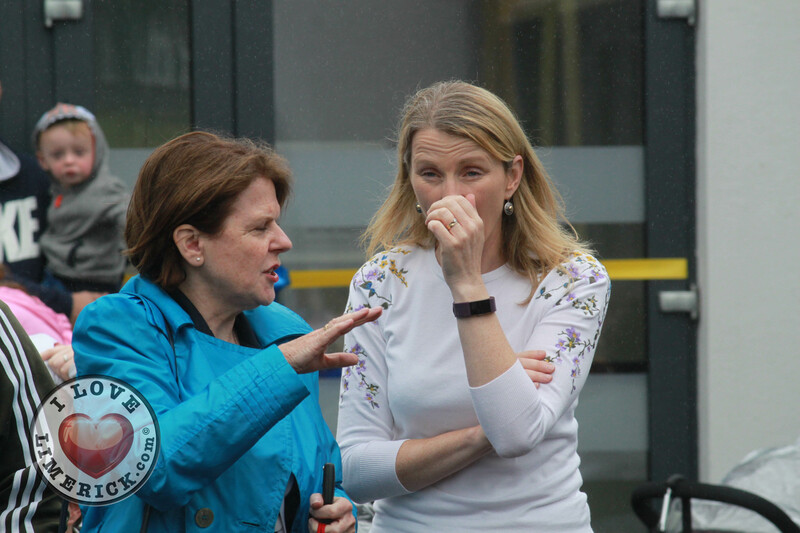 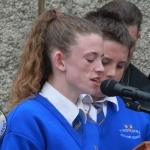 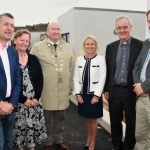 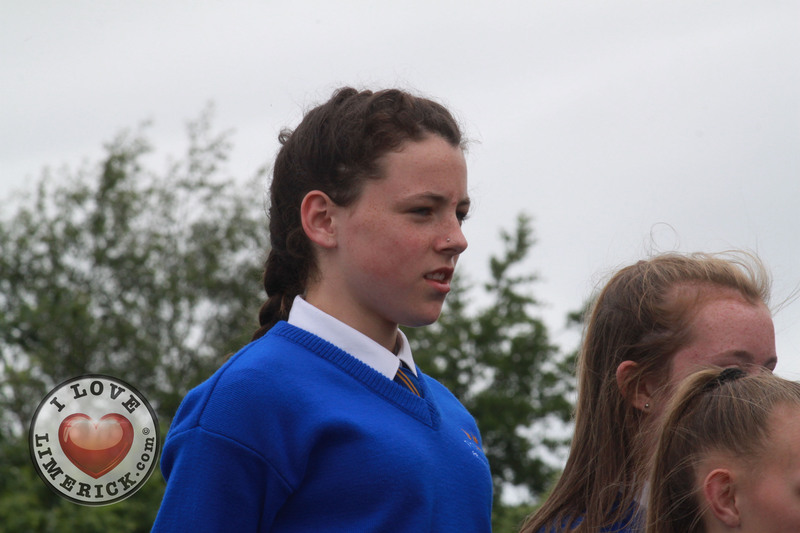 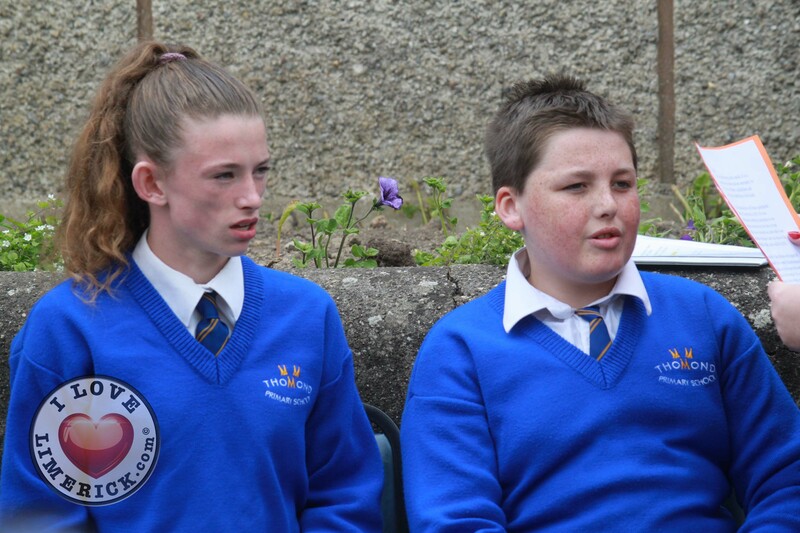 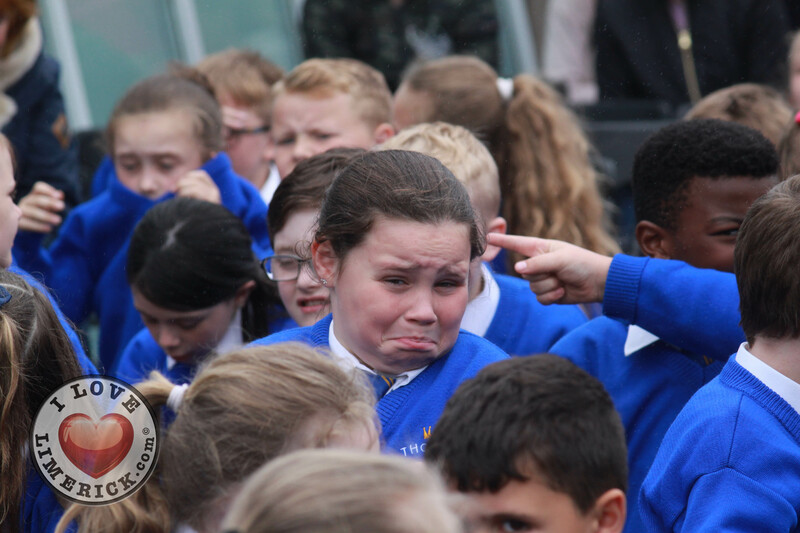 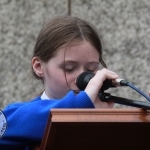 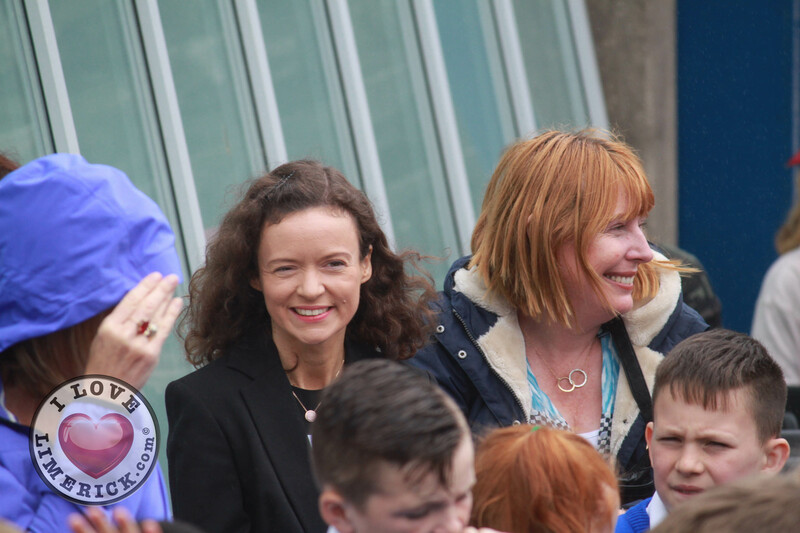 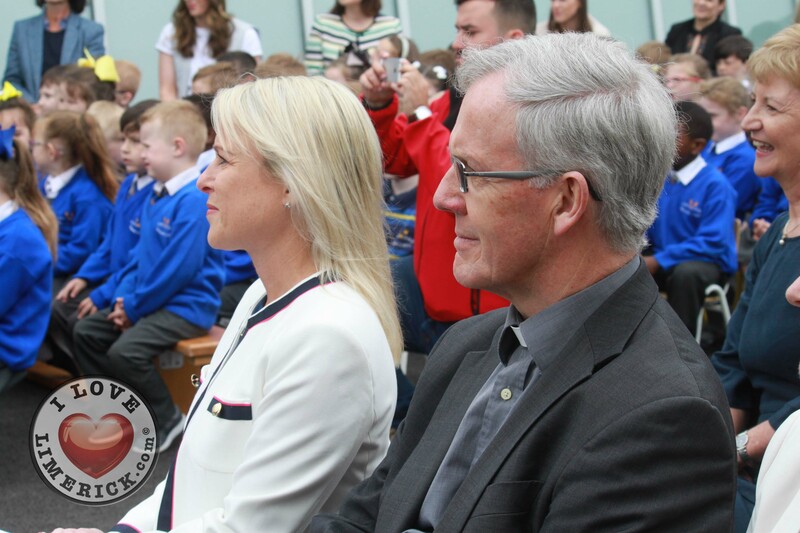 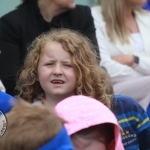 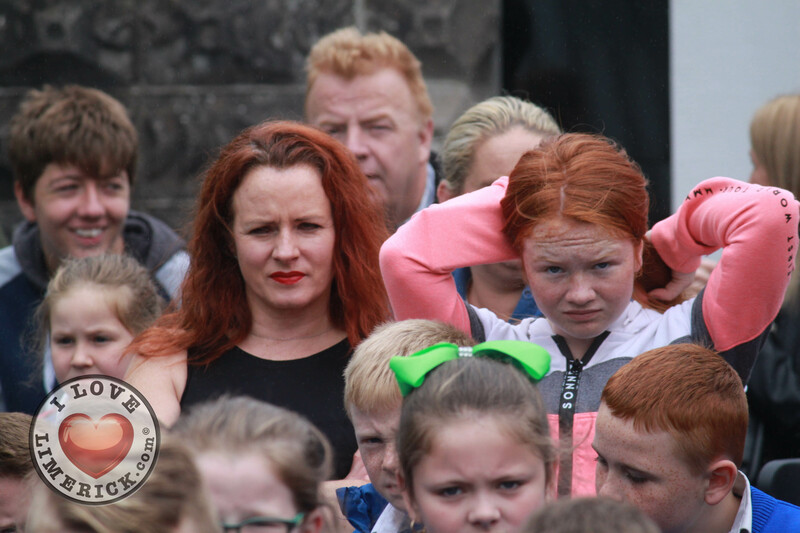 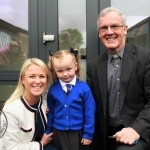 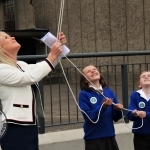 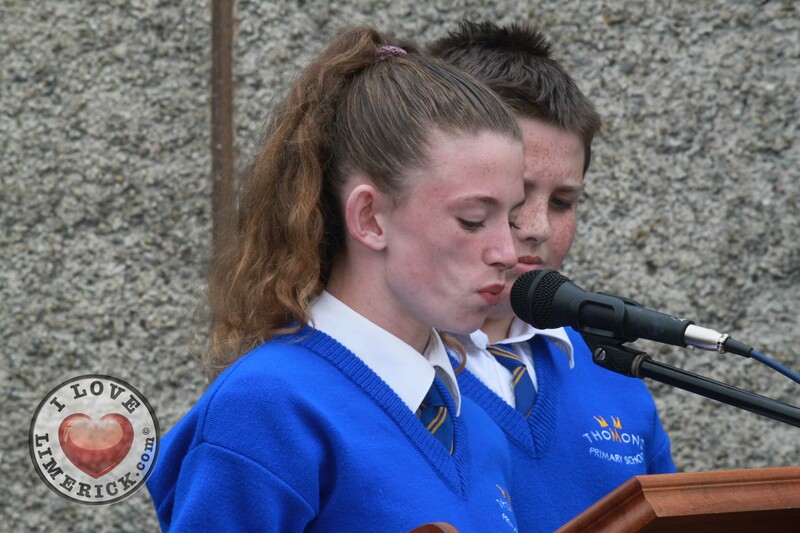 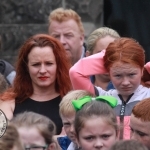 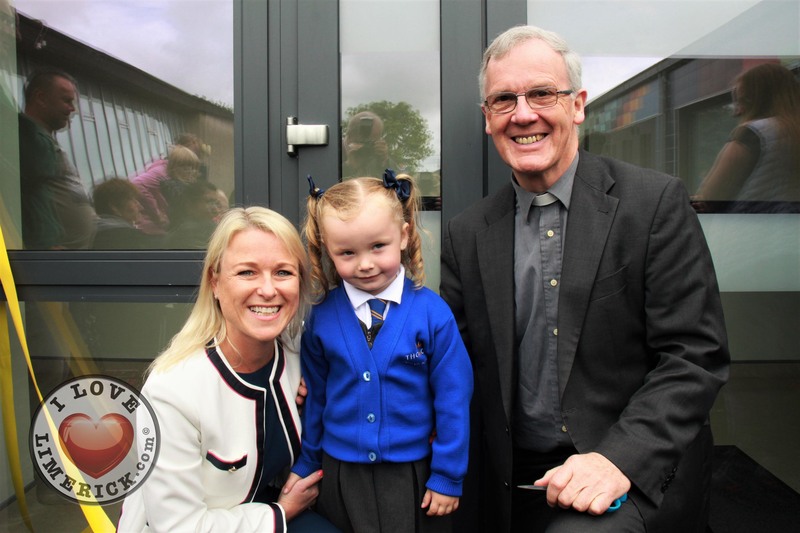 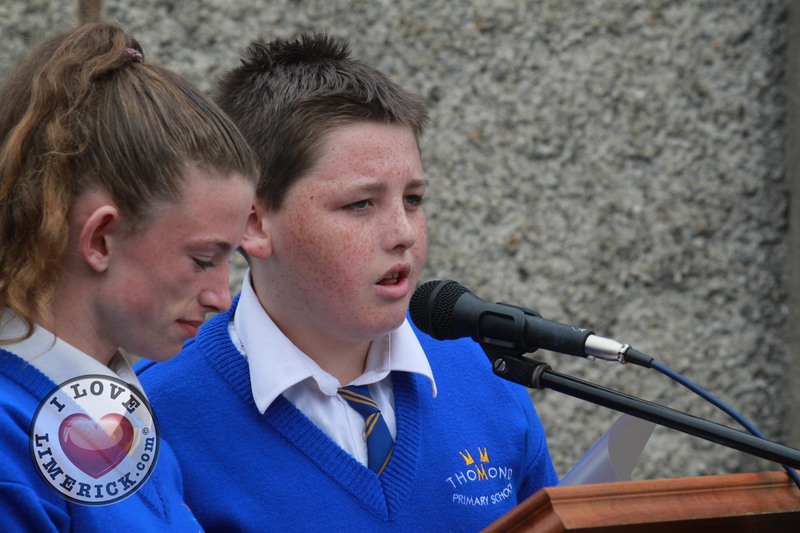 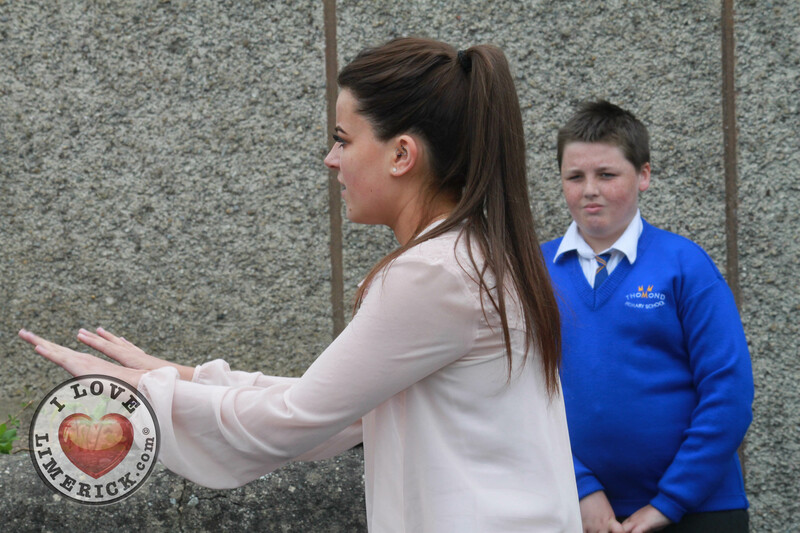 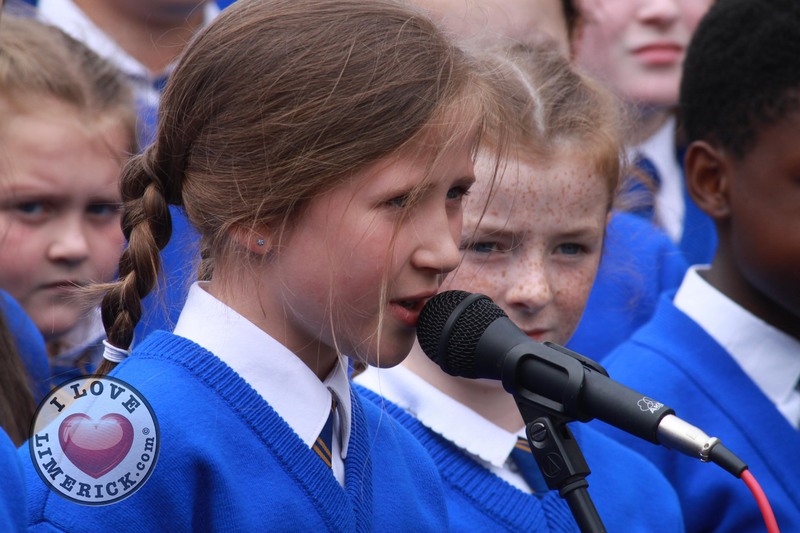 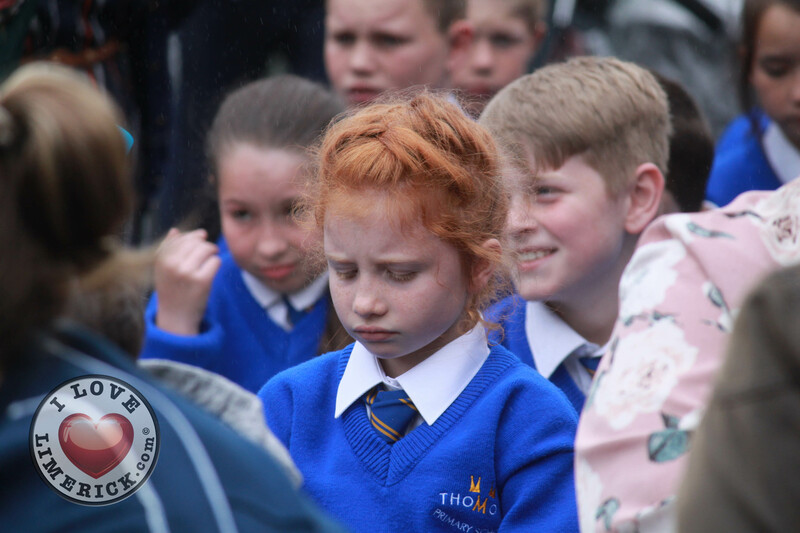 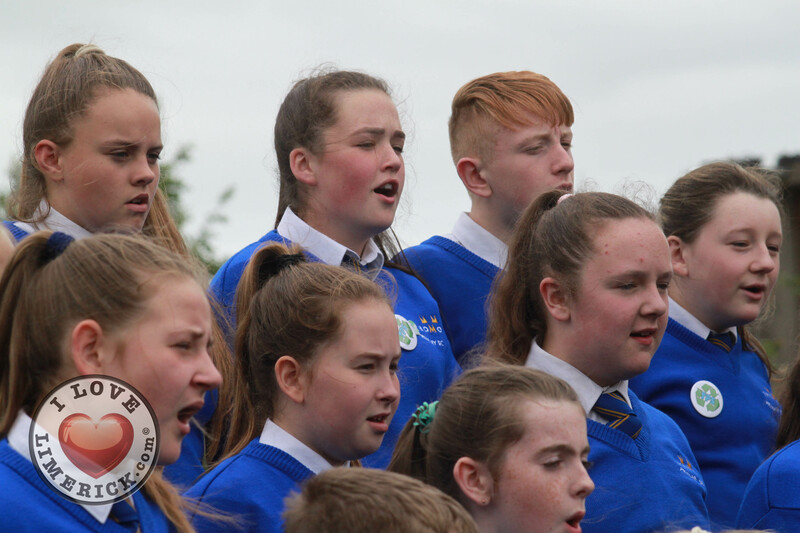 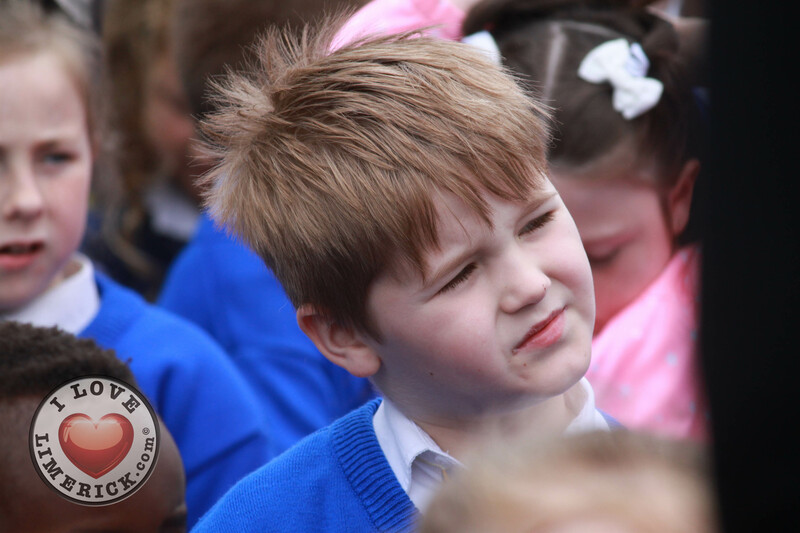 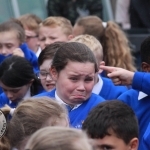 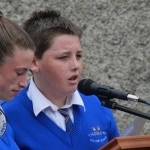 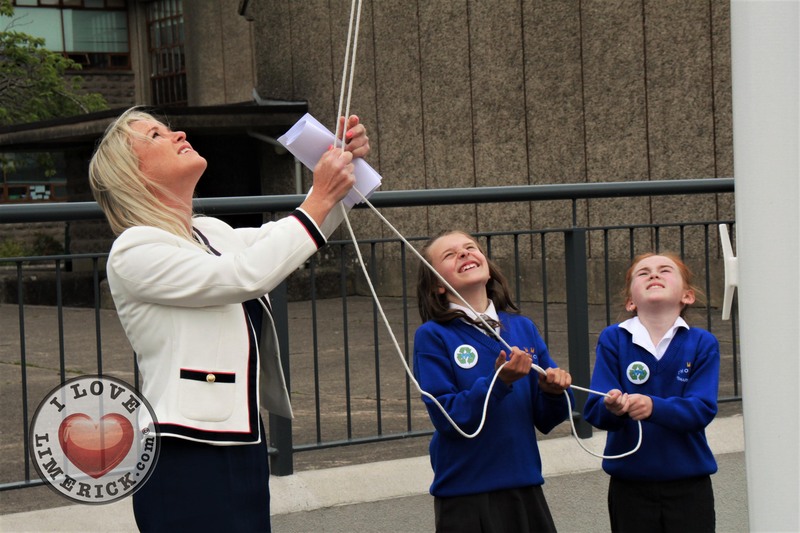 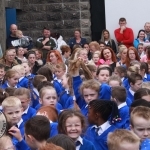 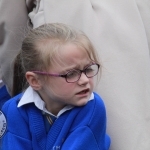 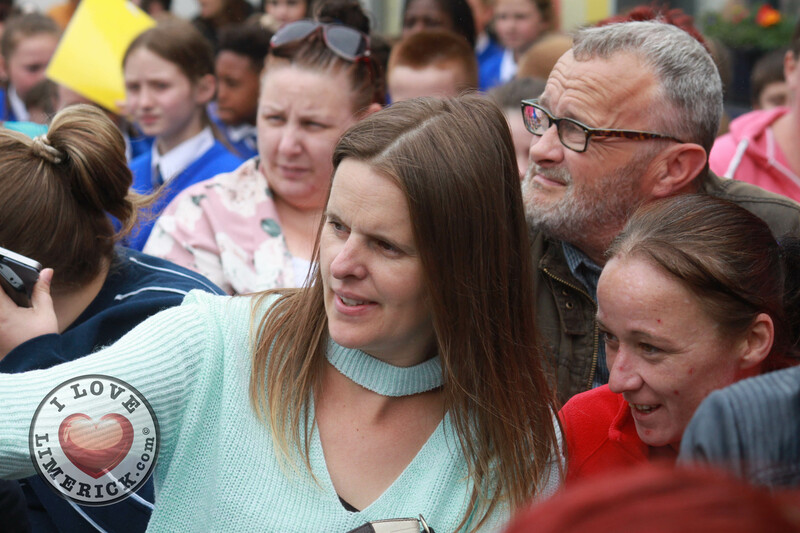 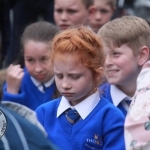 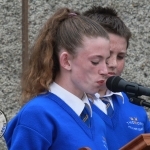 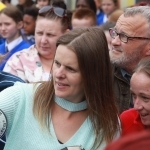 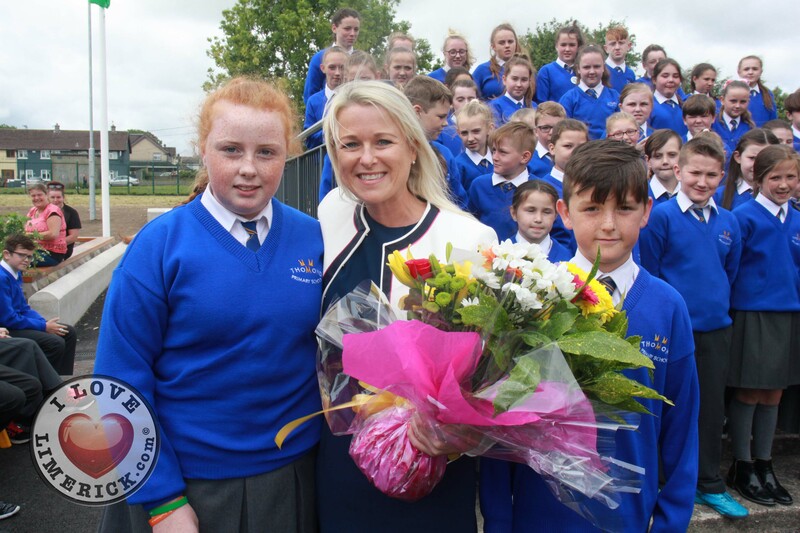 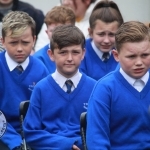 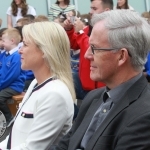 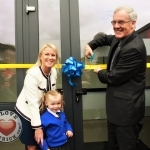 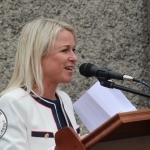 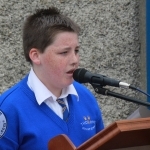 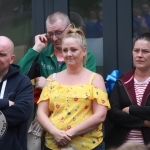 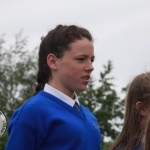 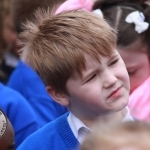 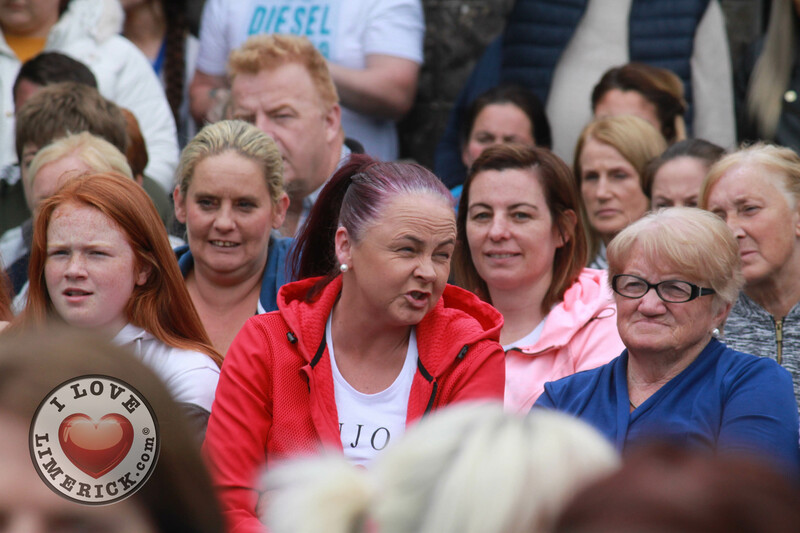 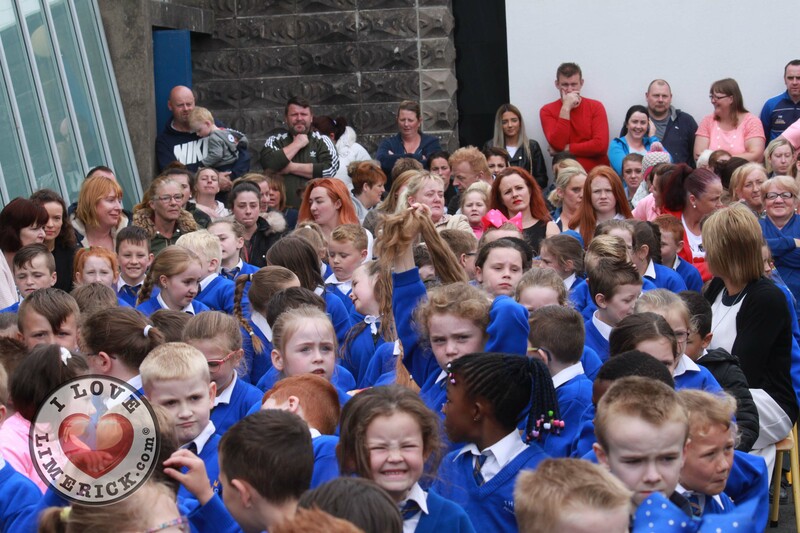 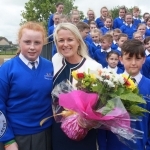 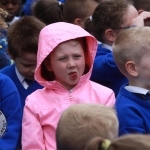 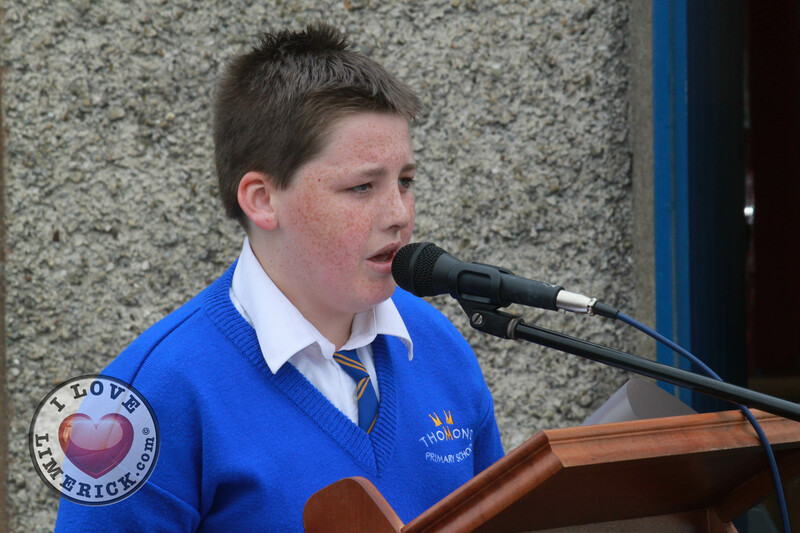 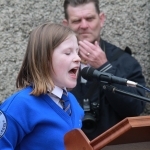 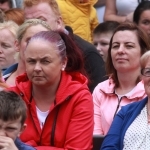 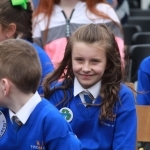 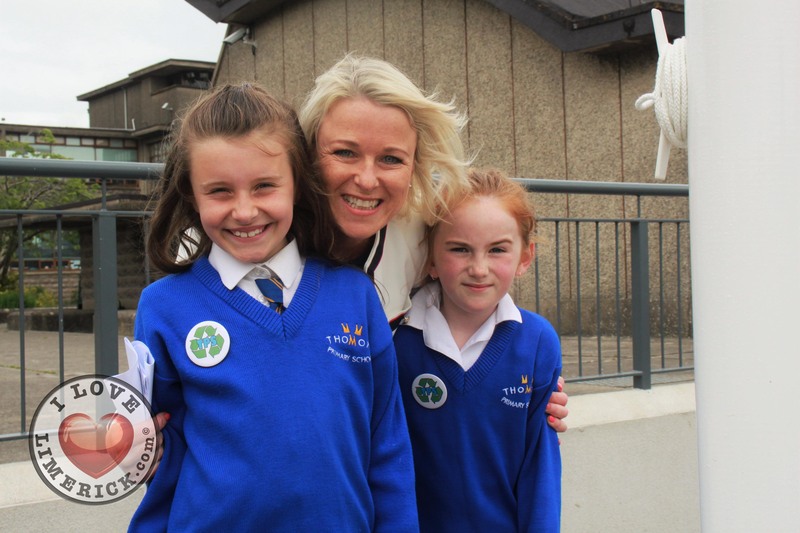 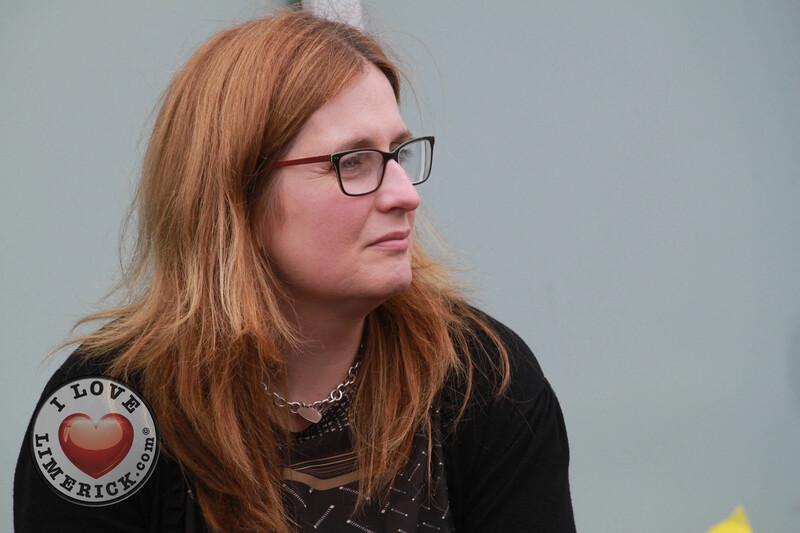 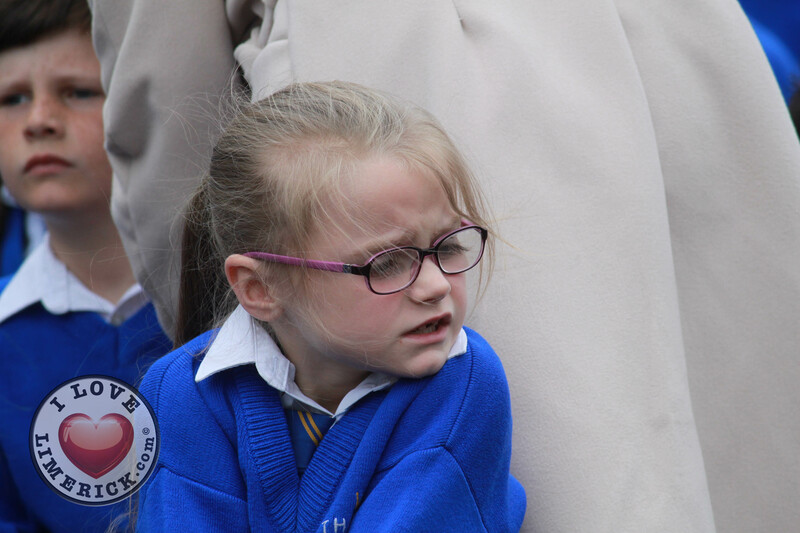 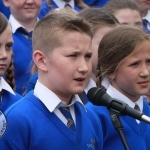 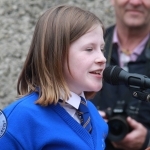 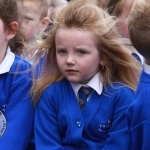 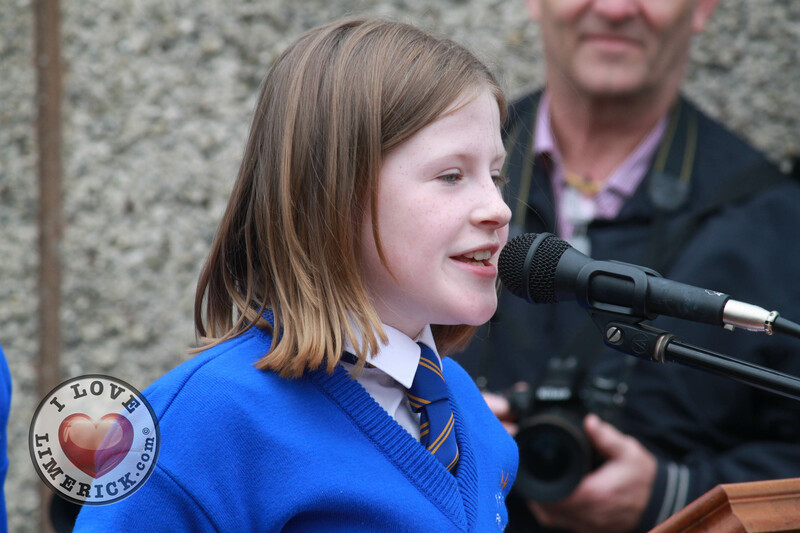 Yesterday, Friday, June 15 marked the official opening of the Thomond Primary School new extension, Cairdeas, “We are here today to celebrate the opening of our new building which is to be named Cairdeas,” spoke co-host, 6th class student, Amy Dawson. 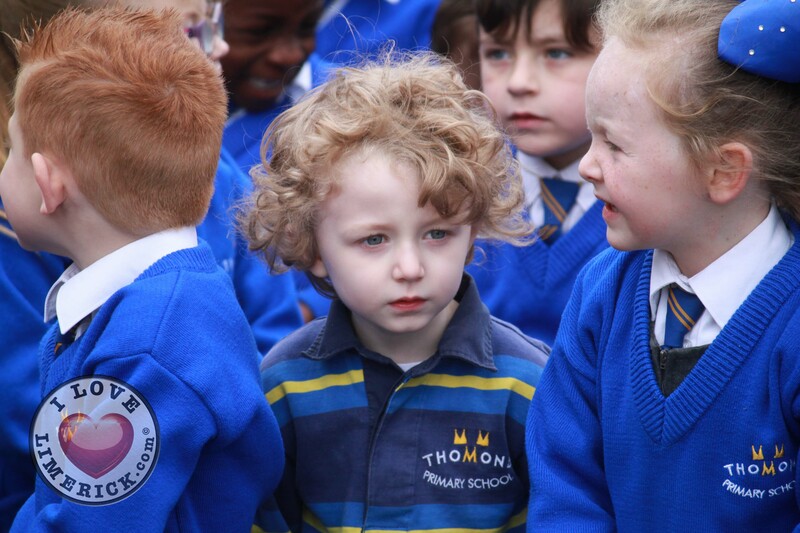 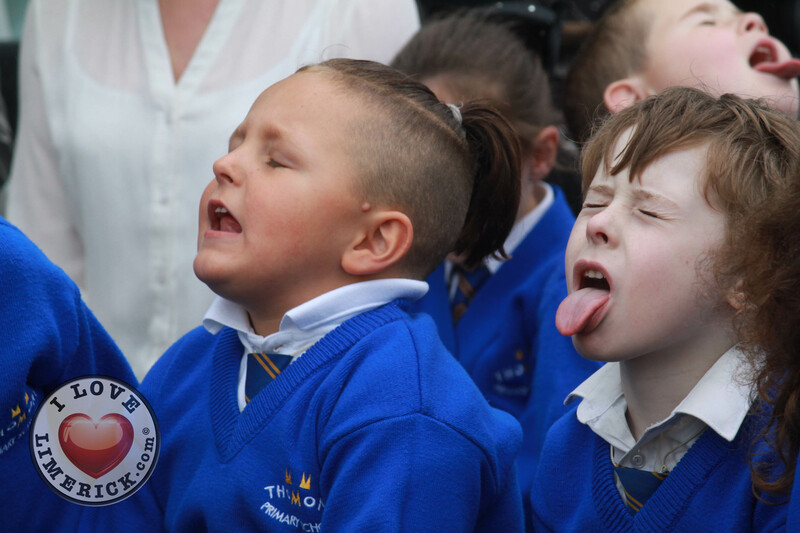 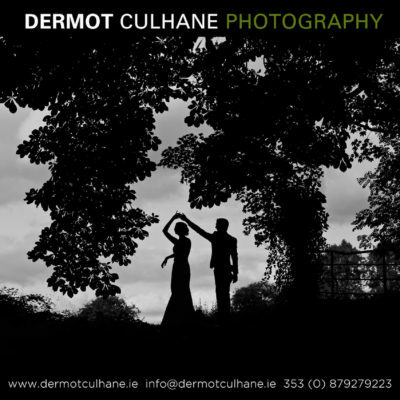 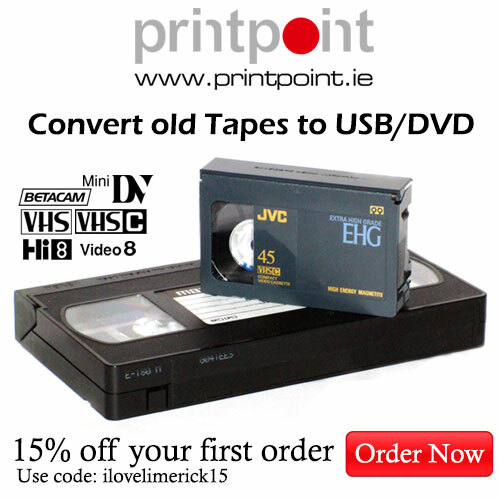 Thomond Primary School is an amalgamation of St. Munchin’s Boys and Girls schools, and St. Lelia’s Infant School. 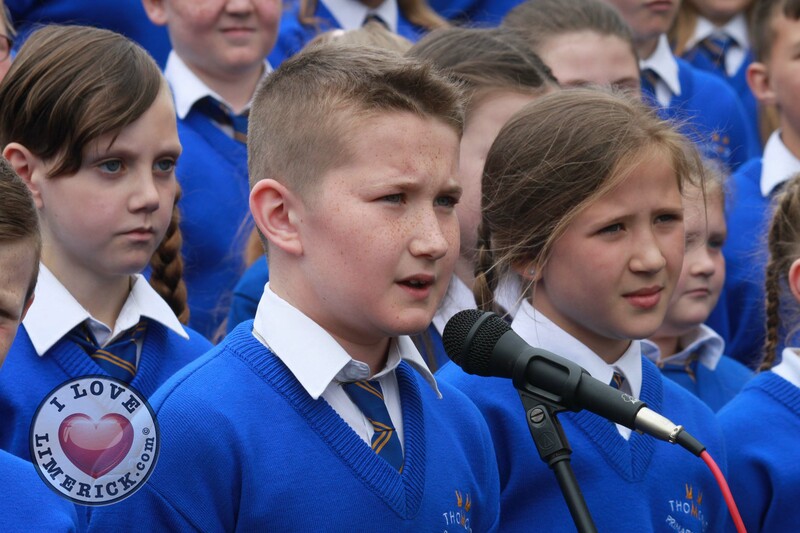 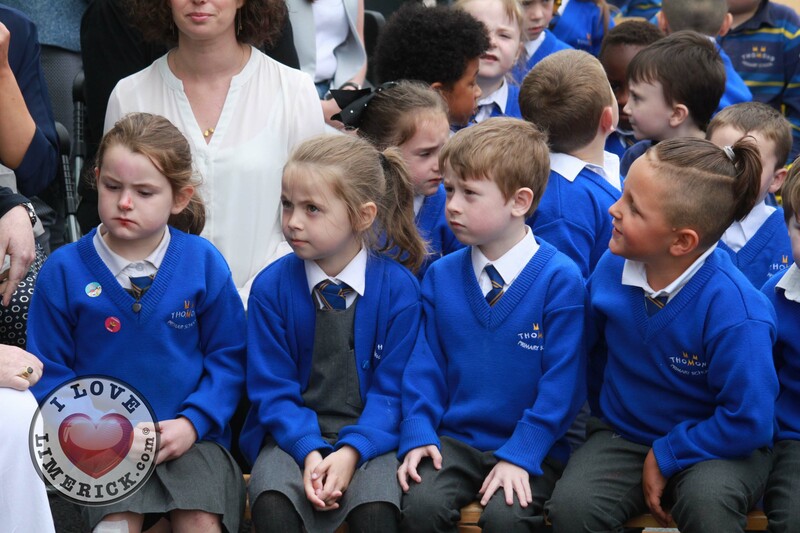 The merged school reopened in September 2015 and has since come from strength to strength in progression. 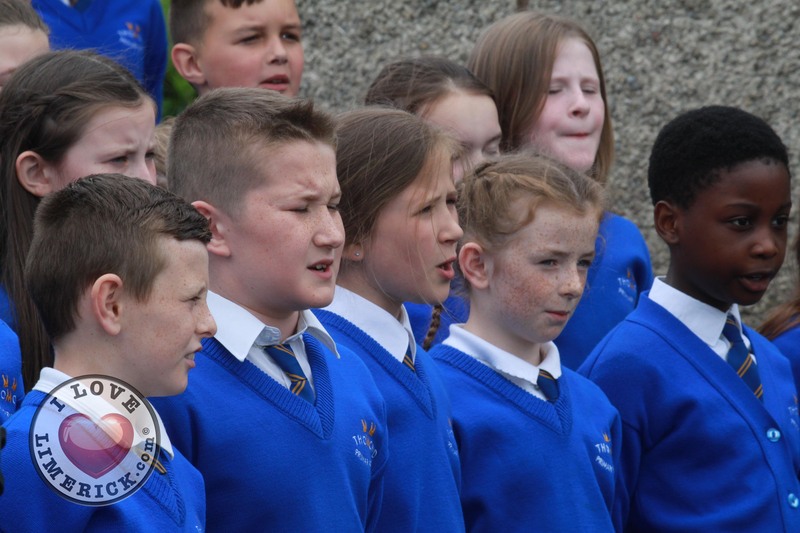 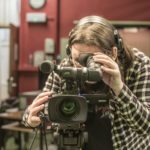 “Pupils and staff chose CAIRDEAS as it represents the friendships formed when three schools joined together and the friendships that will grow over the coming years throughout the…campus,” explained co-host Richard Keane. 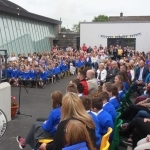 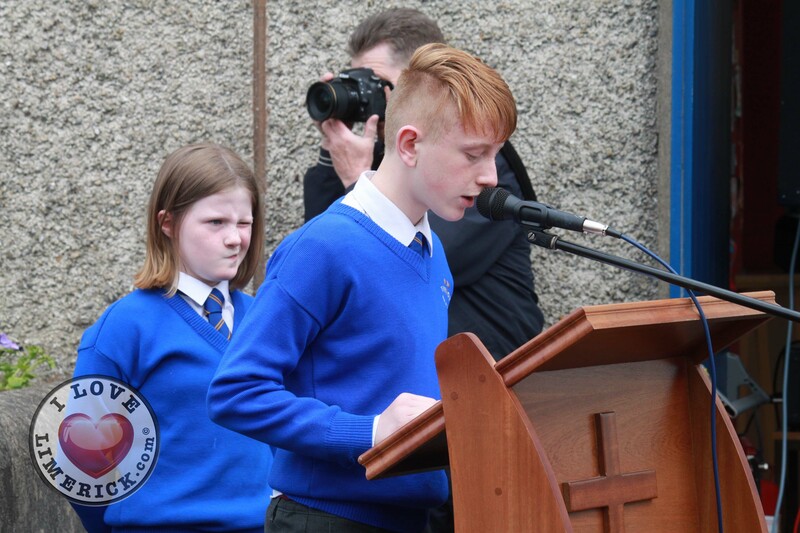 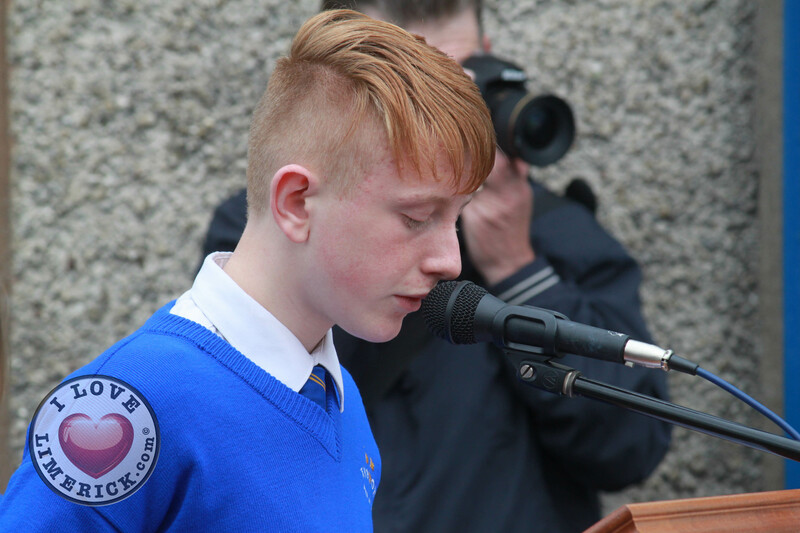 Following the revelation of the name of the new wing, the audience were treated to a poem by the 4th class students, composed especially for the occasion, titled ‘Cairdeas’. 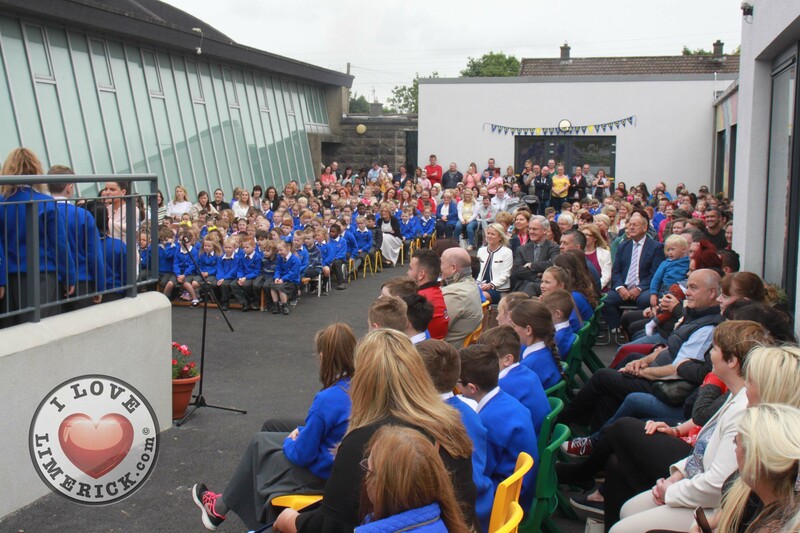 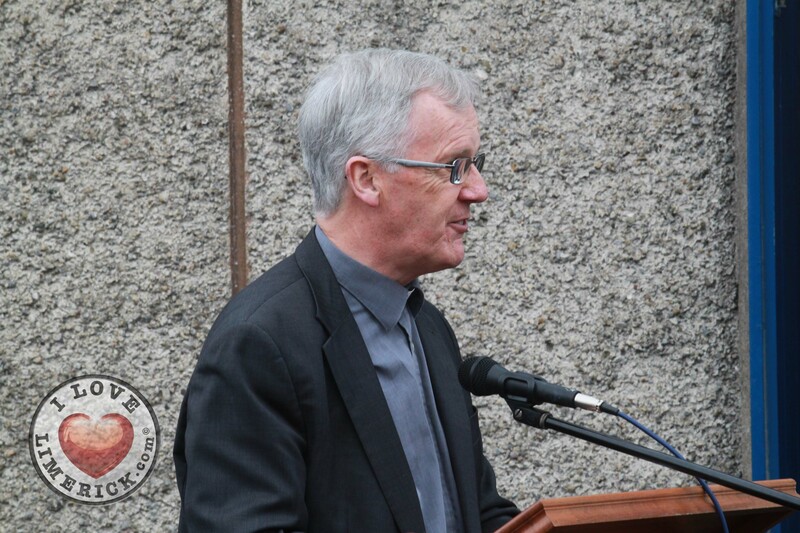 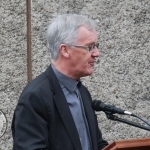 The burial of a time capsule took place to commemorate the opening of the long-awaited and wonderful new extension. 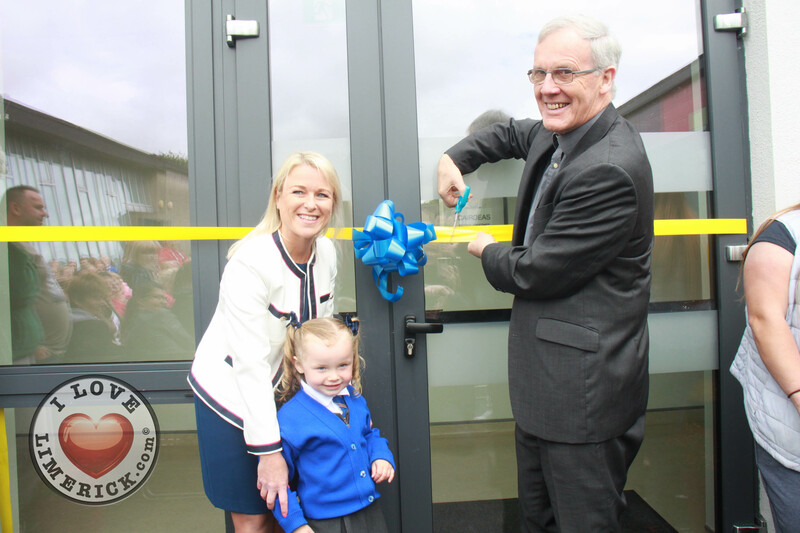 Principal Sinead Toomey, Student Alannah Faulkner and Chairperson Canon Donal MacNamara cutting the ribbon at the official opening of the new school extension of Thomond Primary School, Ballynanty, Friday, June 15th, 2018. 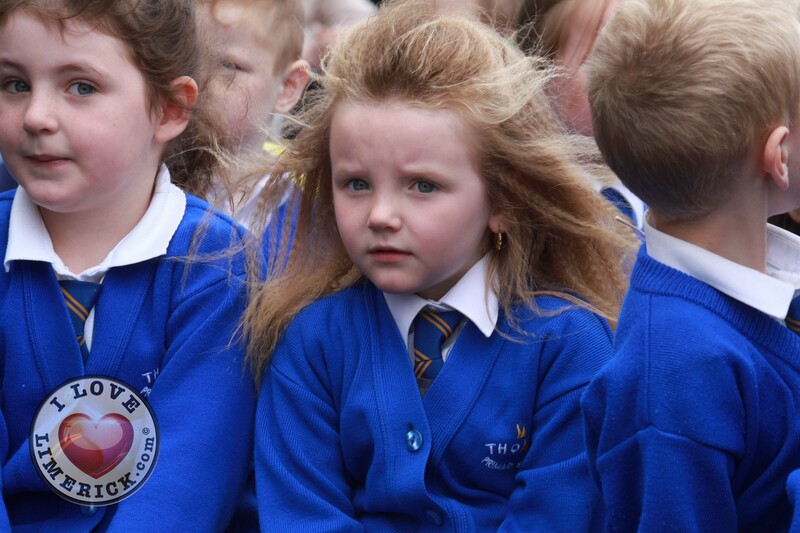 Picture: Sophie Goodwin/ilovelimerick. 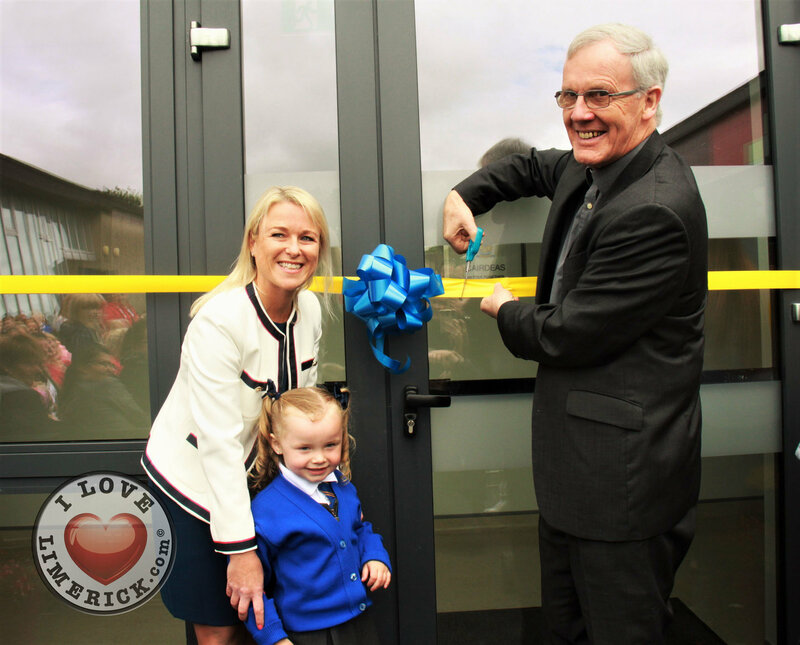 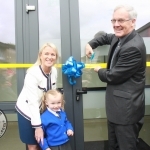 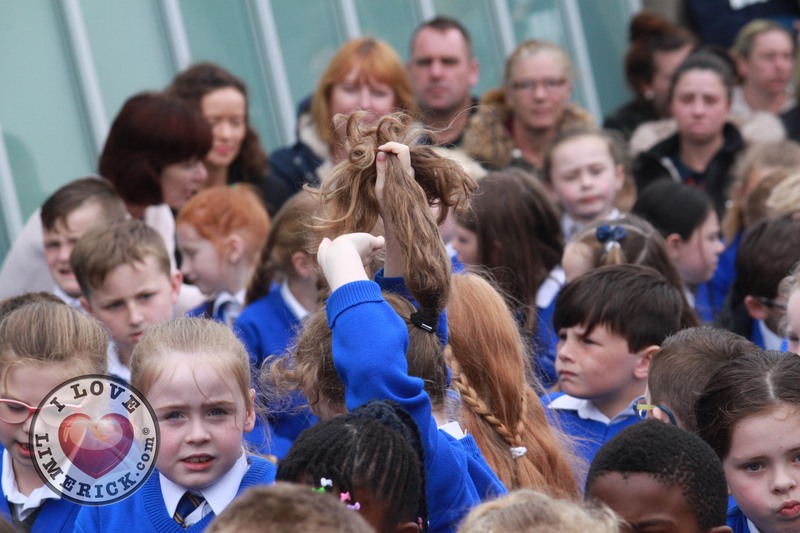 The ribbon was jointly cut by Principal, Sinead Toomey, Chairperson Canon Donal MacNamara, and Junior Infant student Alannah Faulkner. 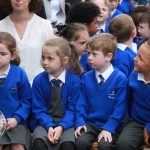 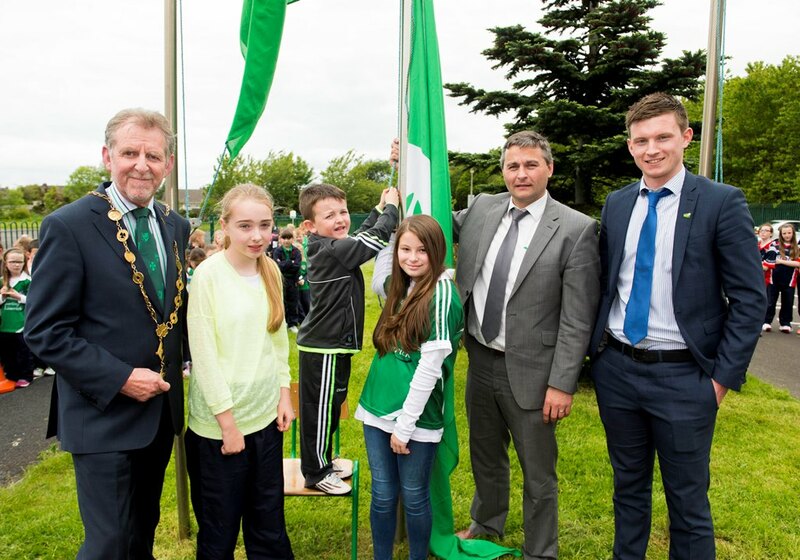 The occasion was a joint celebration, as the school’s first flag- the Green flag was also raised on the day, backed by the school choir, who were led by teacher Kate Hurley, and accompanist Aidan Boland. 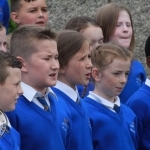 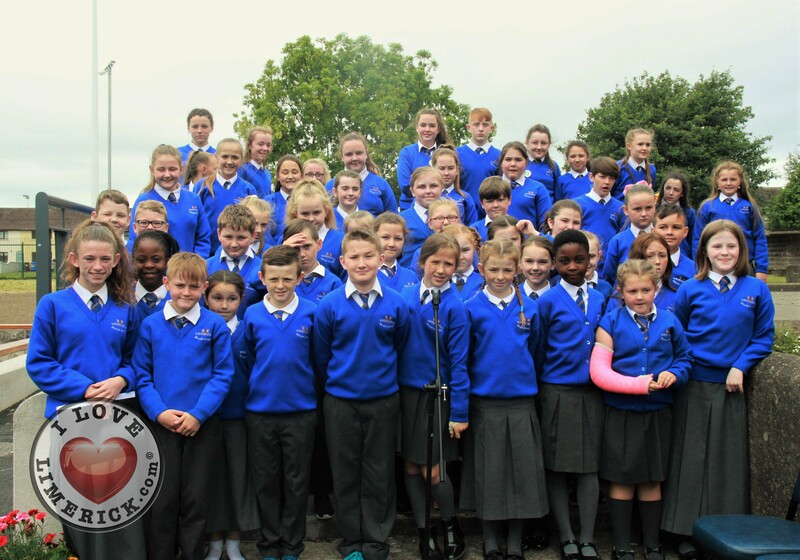 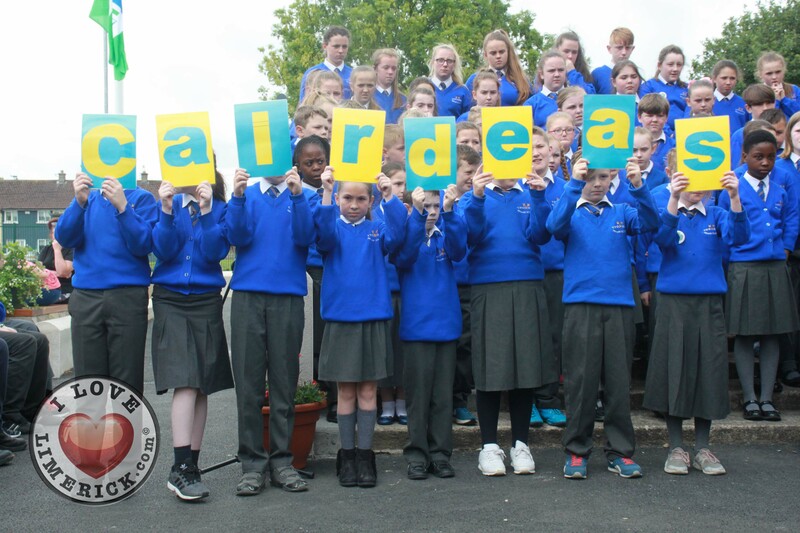 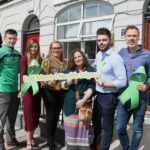 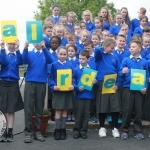 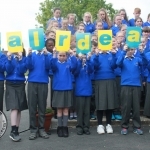 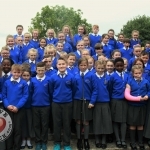 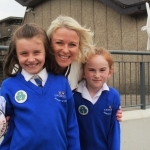 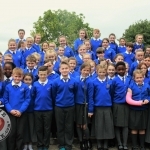 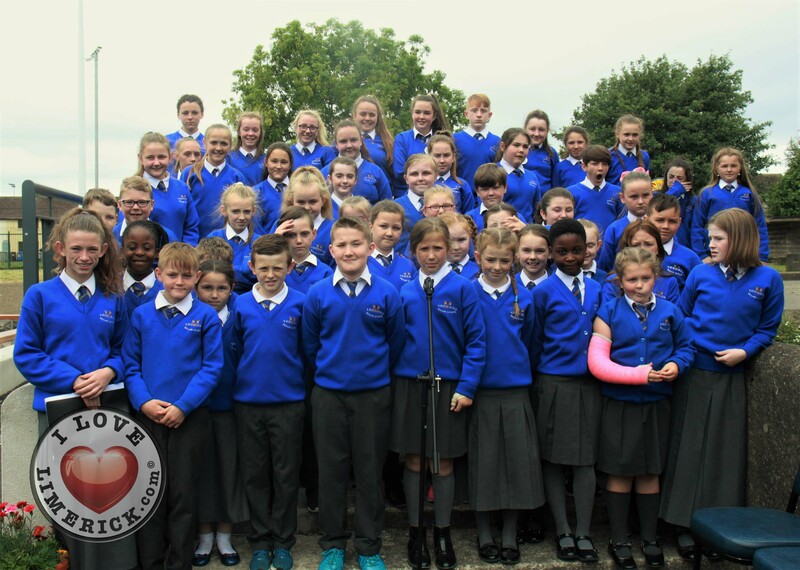 “On May 3 last [members] from our Green Schools Committee went to Cork, and proudly received Thomond Primary School’s very first green flag, for our efforts to reduce litter and waste…the flag will be raised serenaded by our marvelous choir… [our choir] have gone from strength to strength over the last 3 years. 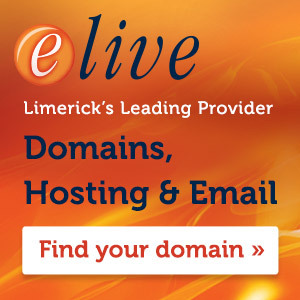 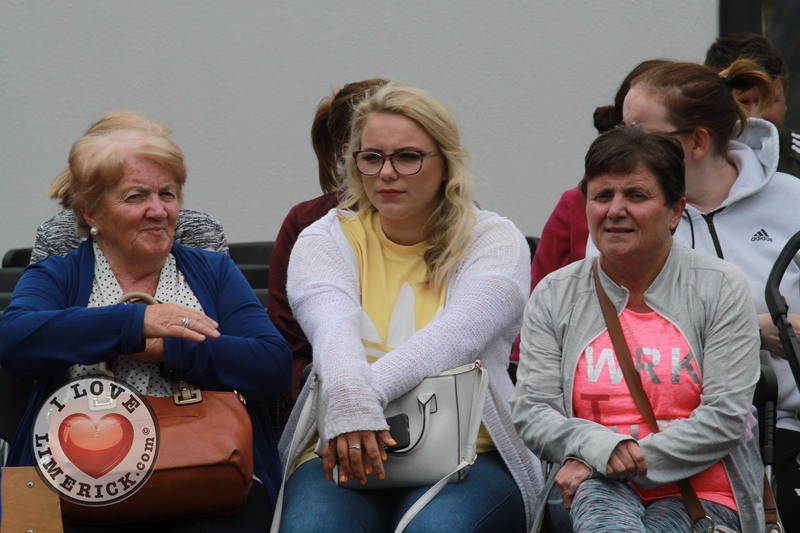 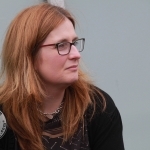 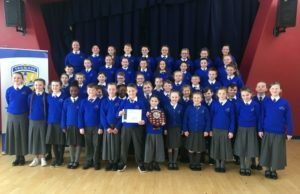 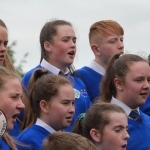 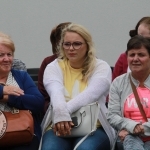 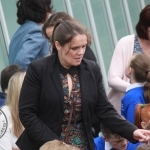 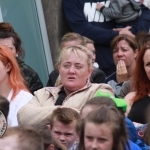 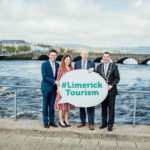 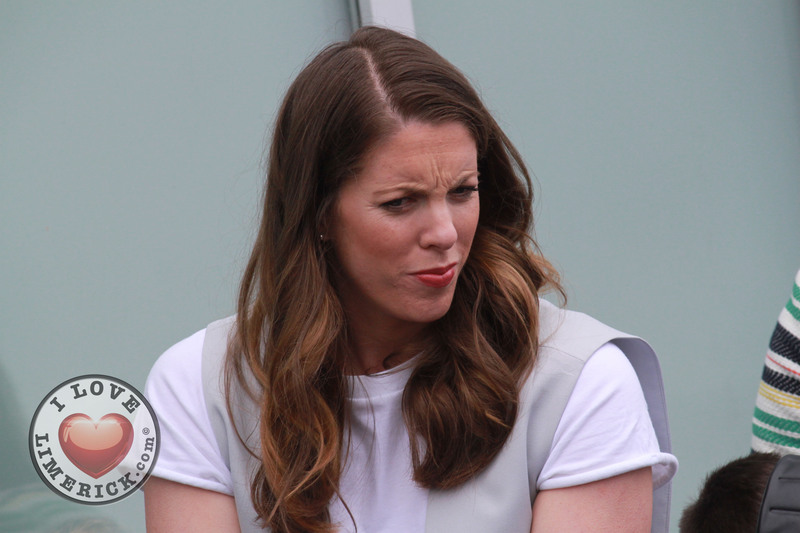 This year, they won a special adjudicators’ award for Best Overall Performance at the Limerick City Choral Festival, a title they also claimed last year,” explained the hosts of the afternoon, Amy, and Richard. 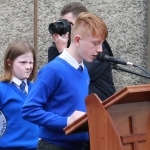 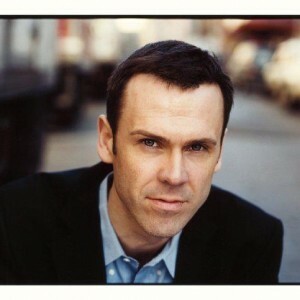 For more info on the KJ Architects go here. 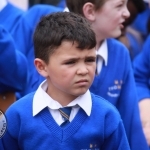 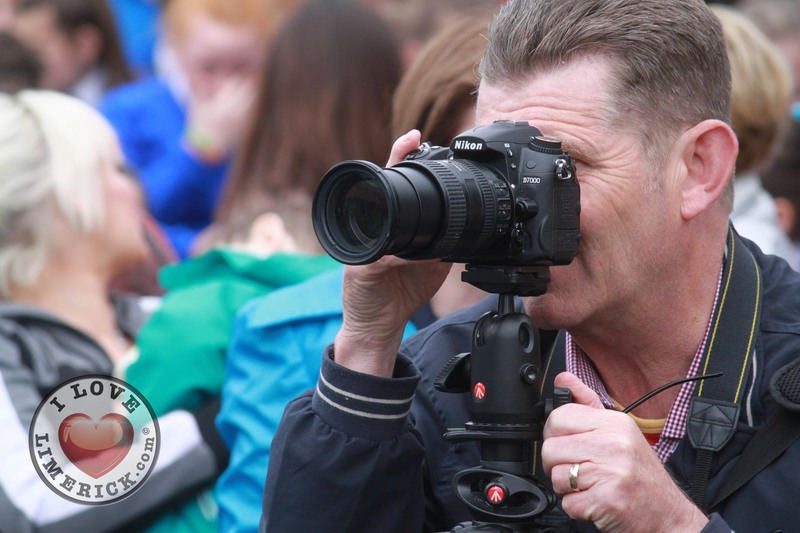 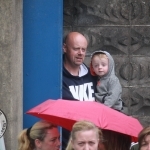 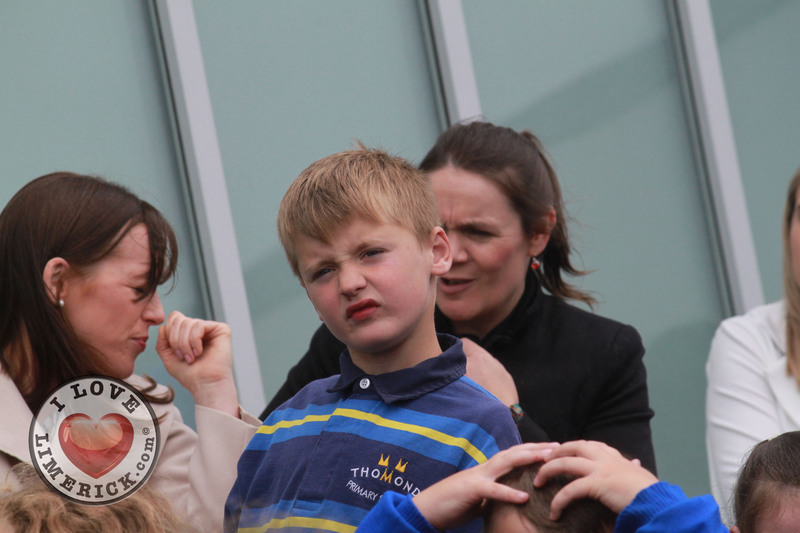 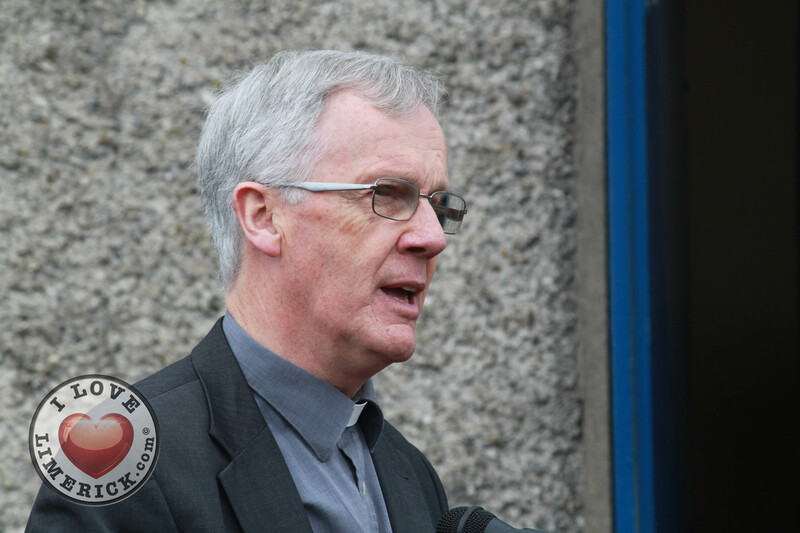 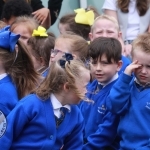 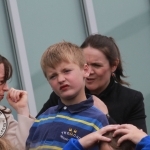 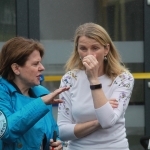 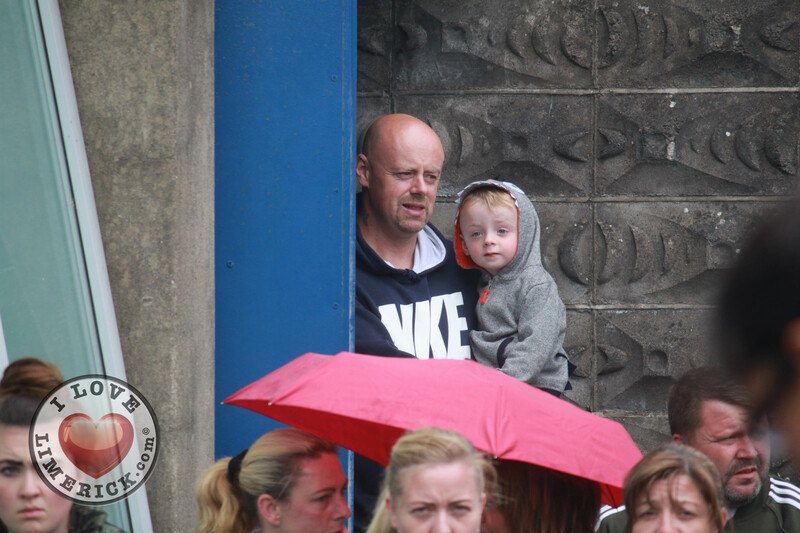 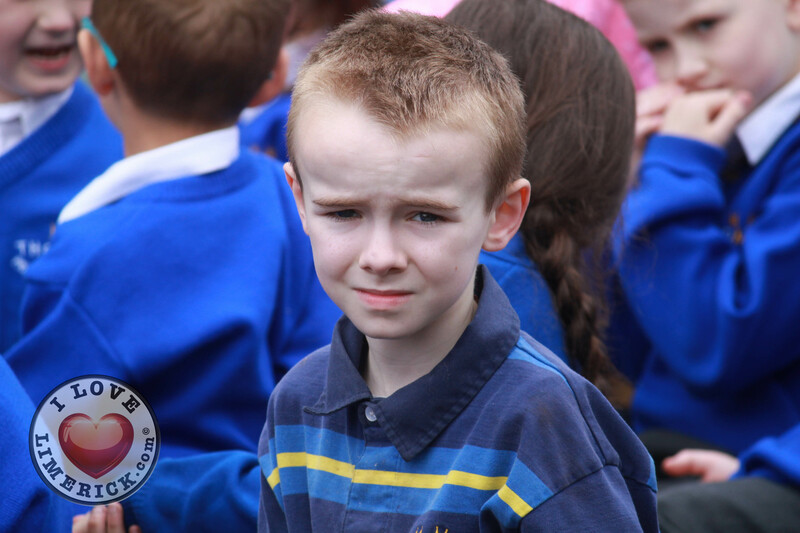 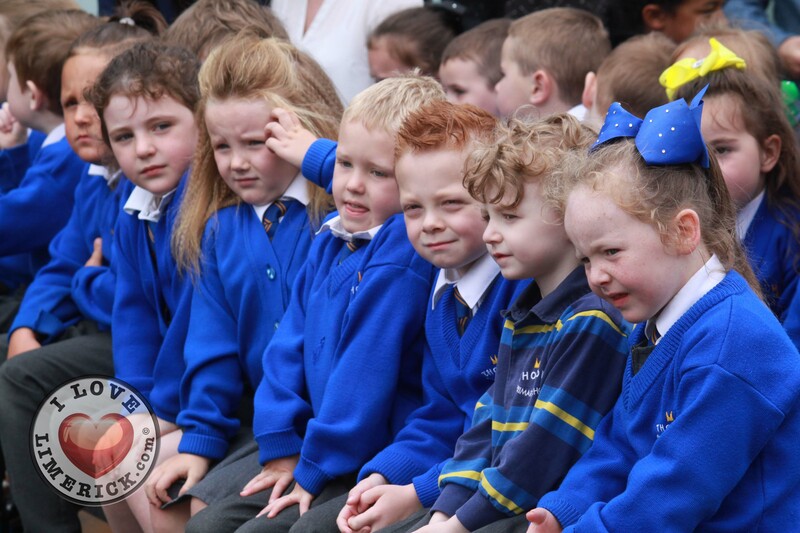 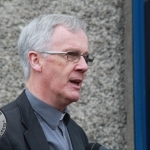 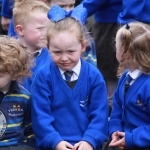 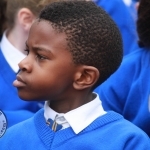 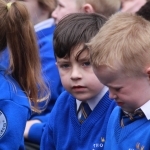 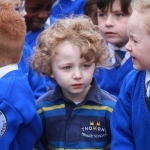 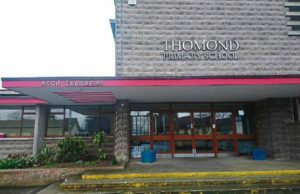 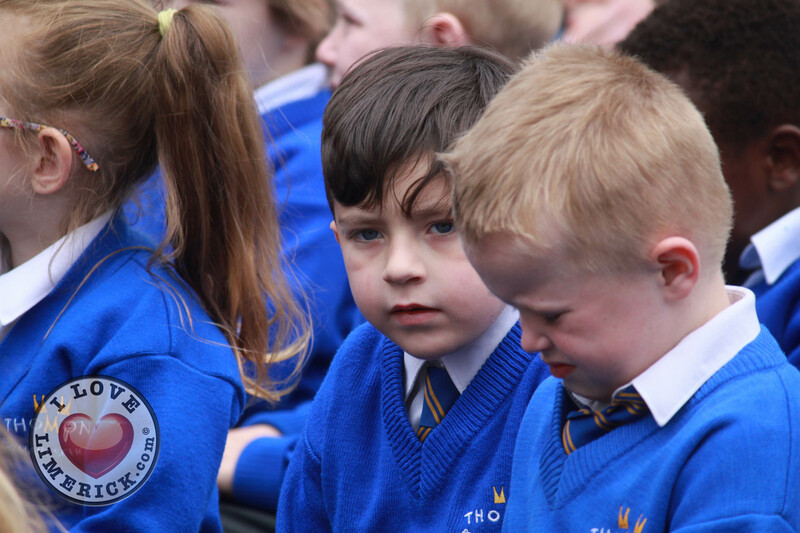 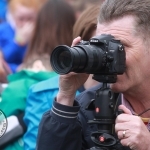 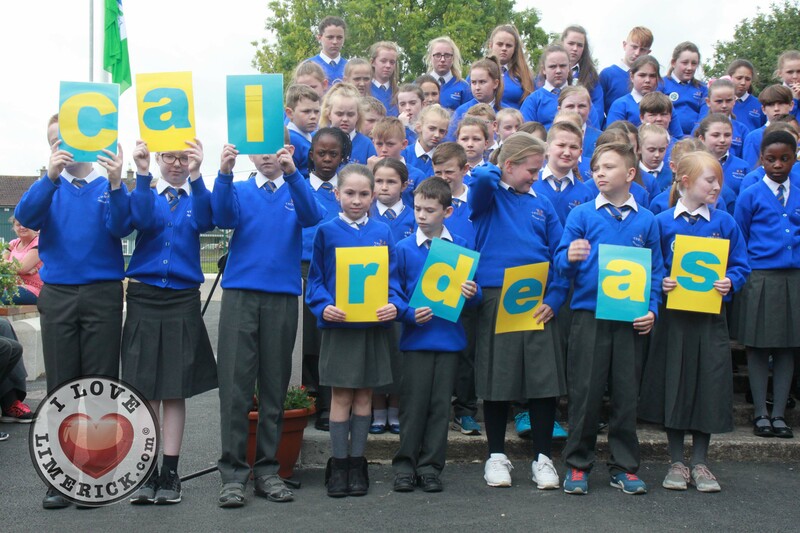 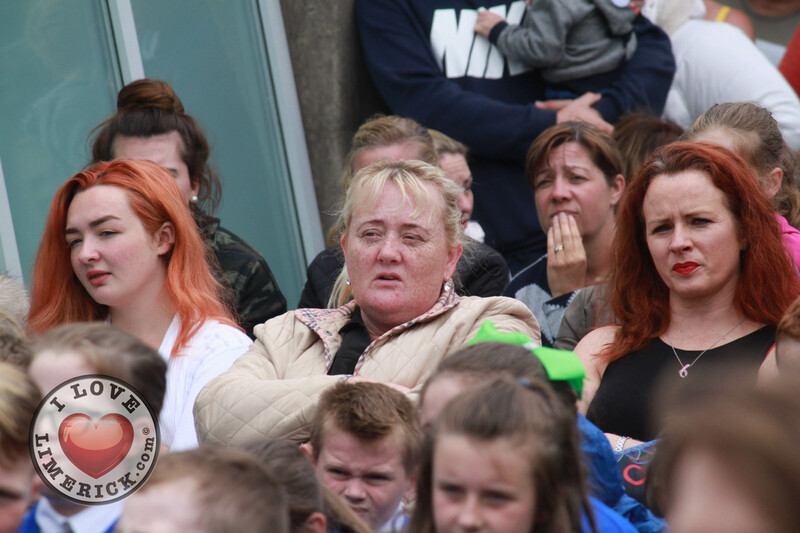 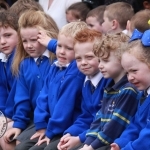 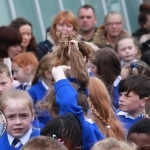 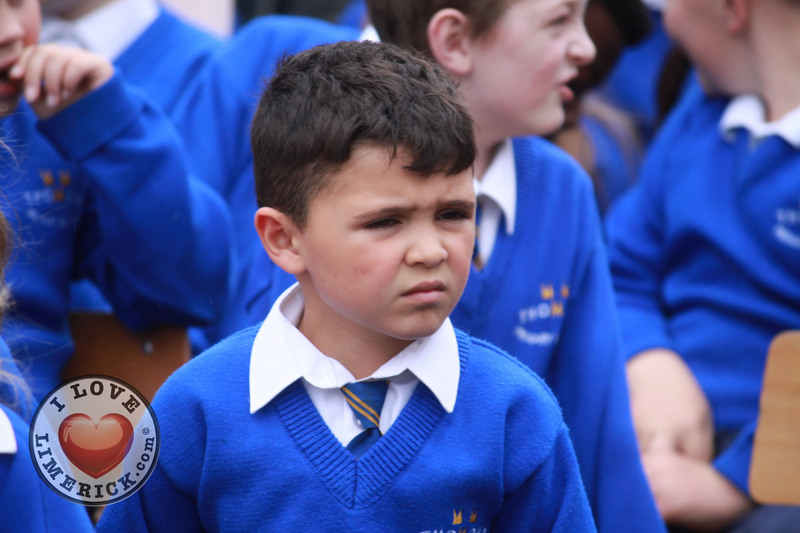 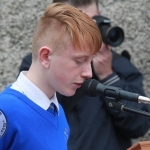 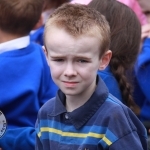 For more stories on the Thomond Primary School go here.